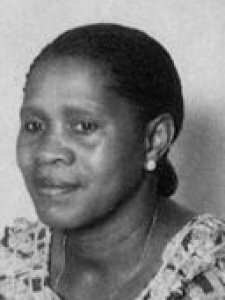 Makhubu was educated in Canada where she received her PhD in medicinal chemistry in 1973. She is retired professor of chemistry and vice chancellor of the University of Swaziland. She was president of the Third World Organization for Women in Science, UNESCO Chair for Women in Science, vice president of the Science Council for Africa, Organization of African Unity (OAU) and member of the UN University Board, Institute for Natural Resource in Africa, and the InterAfrican Committee on Medicinal Plants, OAU. She is fellow of the African Academy of Sciences and a retired member of the Senate, Parliament of Swaziland. Keywords	 Chemistry of the medicinal plants of Swaziland; traditional medicine; cultivation of Phytolacca dodecandra (Endod); molluscicide; Bilharzia in Swaziland; science, technology and development.